hd00:05Pachygrapsus marmoratus is a species of crab, sometimes called the marbled rock crab or marbled crab, which lives in the Black Sea, the Mediterranean Sea and parts of the Atlantic Ocean. 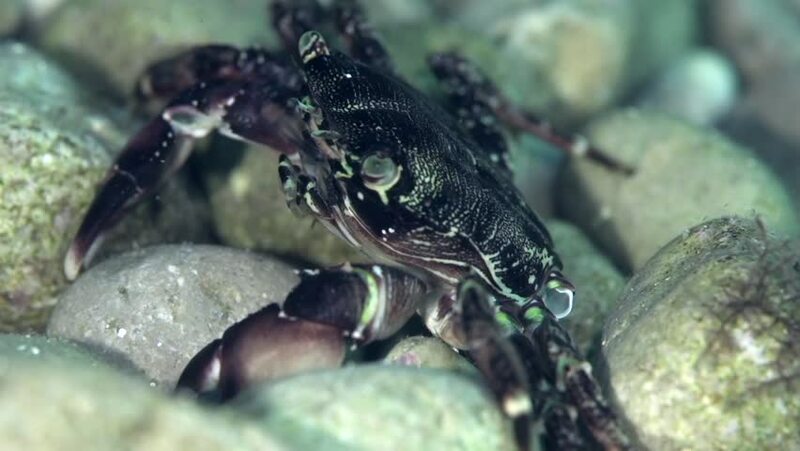 hd00:51Pachygrapsus marmoratus is a species of crab, sometimes called the marbled rock crab or marbled crab, which lives in the Black Sea, the Mediterranean Sea and parts of the Atlantic Ocean. hd01:00Pair of Diogenes pugilator are mating. It is a species of hermit crab, sometimes called the small hermit crab or south-claw hermit crab.